Moroccan Blue Kilim Rug Hand Knotted Natural Wool Rug - blue, white, chili red, olive green, beige, black - 5'x 6'7"
Brighten a bedroom without blocking closet and entry doors with this flatweave kilim area rug. 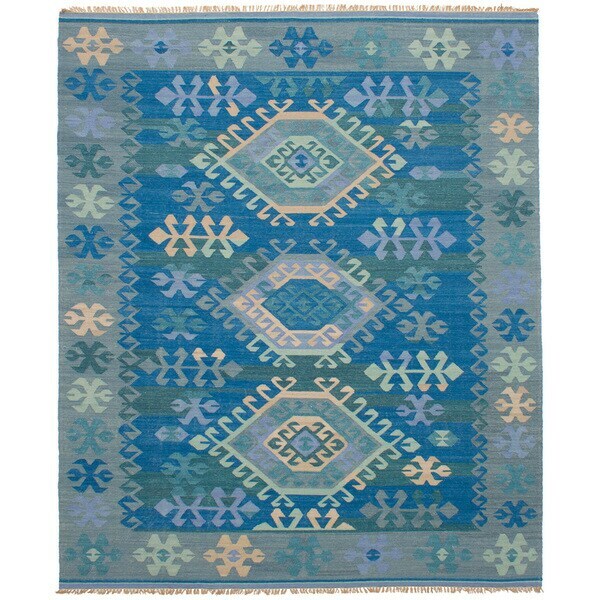 Crafted from dense blue wool on a traditional cotton base, this Anatolian-inspired reversible rug looks great in your teen's Bohemian bedroom or dorm room. "Is this rug available in 5x8?" No, this is not available in 5 X 8.